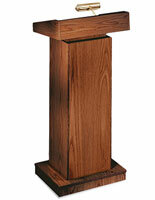 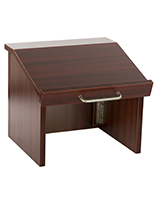 These wooden tabletop podiums feature an attractive red mahogany finish that blends with any environment. 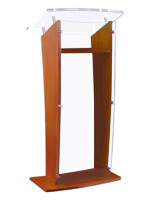 In contrast with floor standing pulpits, the table lecterns are made to be portable for easy mobility and storage. 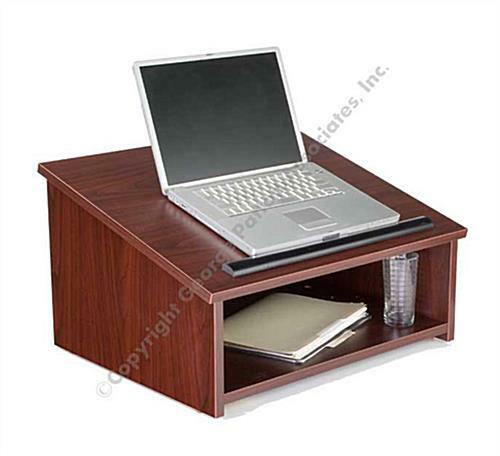 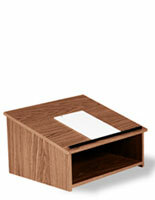 The tabletop podiums are made of strong laminated MDF that measures .75" thick. 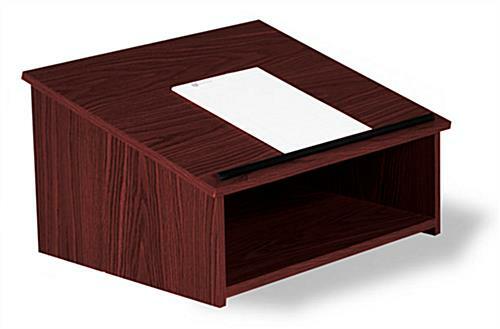 The stands with a mahogany finish offer an angled reading surface with a stopper that prevents reading materials from sliding off. 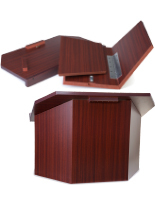 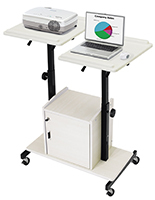 The portable podiums also include a large storage space for storing extra presentation supplies. 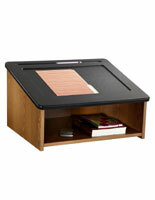 The table lectern ship unassembled to save on shipping and require minor assembly. 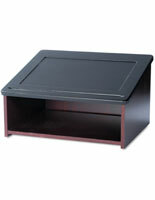 18.0" x 13.8" x 19.8"